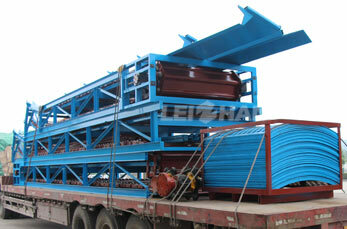 Chain conveyor is a common piece of mechanical handling equipment that moves materials from one place to another. Chain conveyor can be used for conveying various materials like waste paper, pulp board in bulk and in bundle, bags, glass bottles, cans, etc., due to its smooth surface and small friction. Many kinds of conveying systems are available, and are used according to the various needs of different industries. Conveyor systems allow quick and efficient transportation for a wide variety of materials, which make them very popular in the material and packaging industries. 1. Chain plate can choose stainless steel, cast steel, engineering plastics materials to meet various needs of the customers. 3. Stable transport speed, ensure precisely synchronized delivery. 4. Easy to clean and maintenance-free equipment. 5. Flexible equipment layout, horizontal and inclined conveyor. 6. Simple structure, easy to operate.